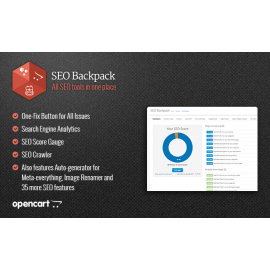 Related Options PRO allows to create combinations of related product option values, set specific set..
SEO Backpack - All SEO Tools in One Place SEO BackPack is a opencart extension. 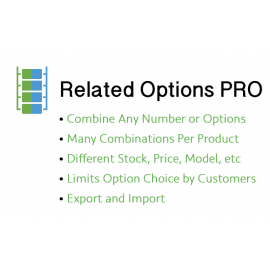 Its came as a..
Intuitive Shipping + Per Product Shipping Combo Pack. 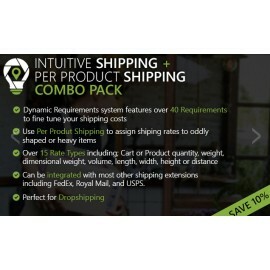 The Intuitive Shipping + Per Product Shippi..